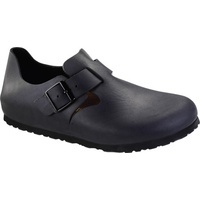 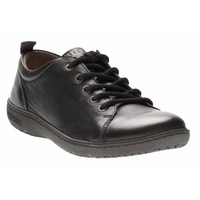 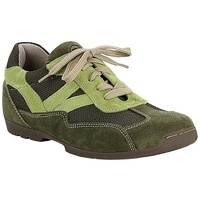 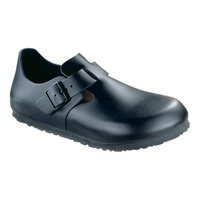 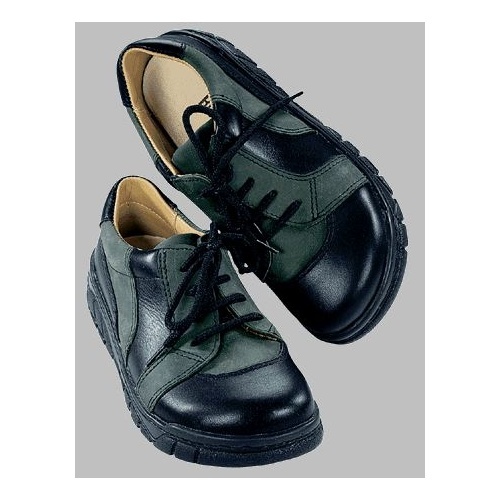 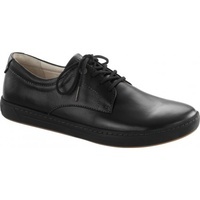 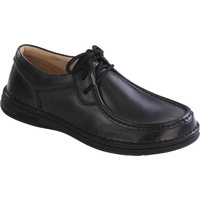 Boys leather shoe with Leather liner, leather footbed and polyurethane sole. 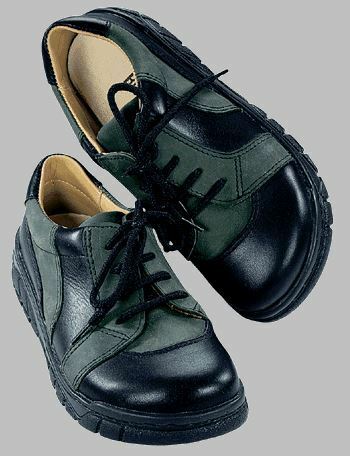 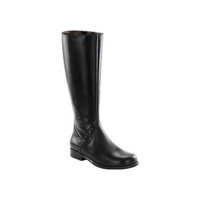 The shoe upper is smooth black leather with Basalt Nubuck leather features as pictured. 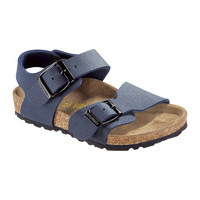 Model is discountinued. 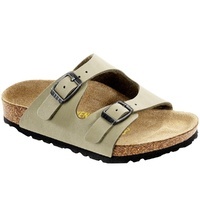 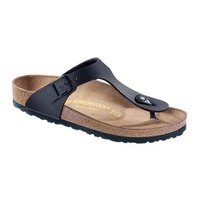 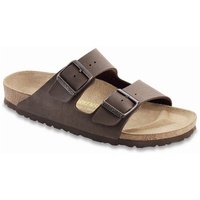 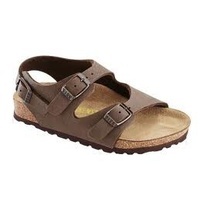 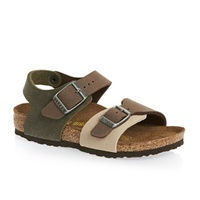 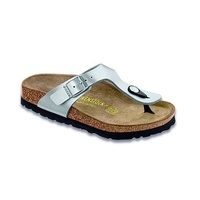 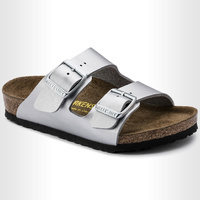 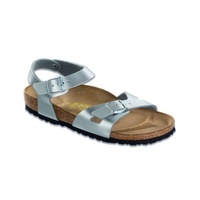 Was made by Birkenstock under the sub brand Footprint.